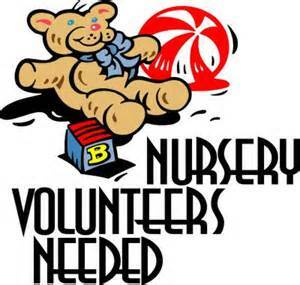 We have several of our regular nursery helpers on break right now and that frees up several time slots for someone else (with or willing to get) clearances to snap up these up! This is not only an important ministry to the parents and young children but is also a great way to get to know the Little Ones in our church family. The scheduled rotation currently is once a month but with more helpers it would be less frequent.